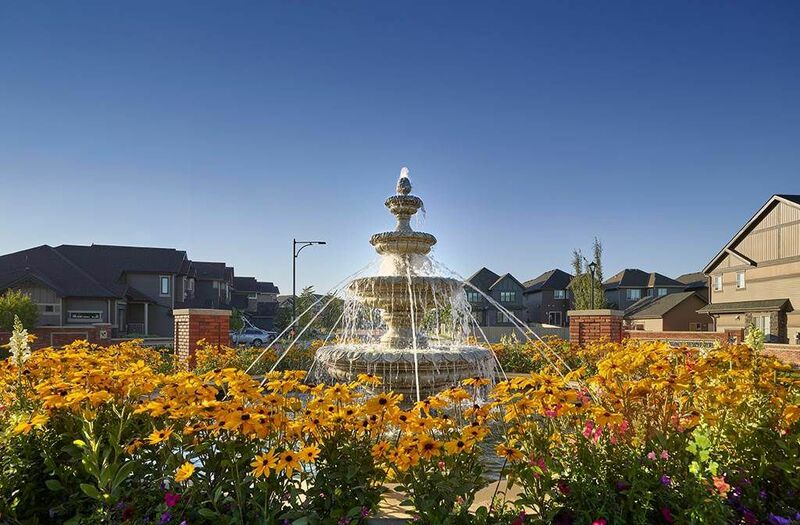 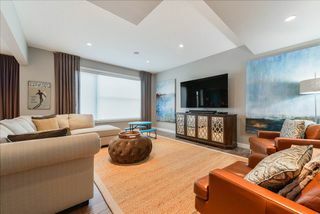 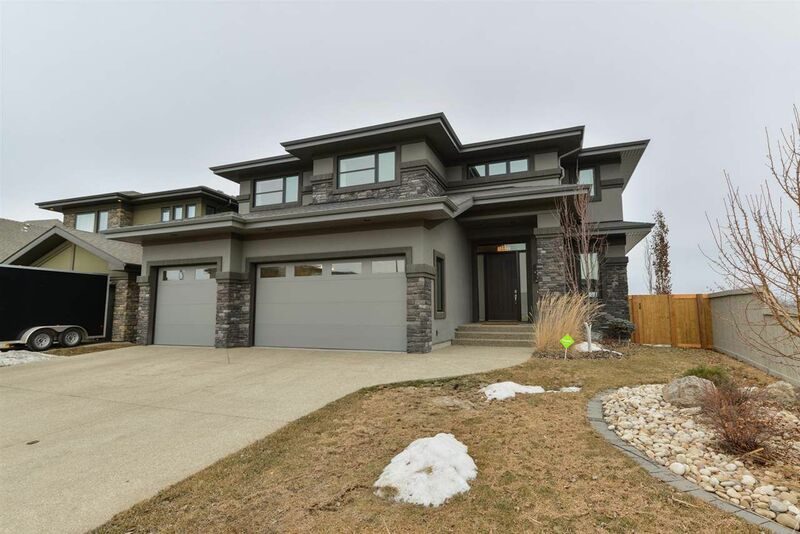 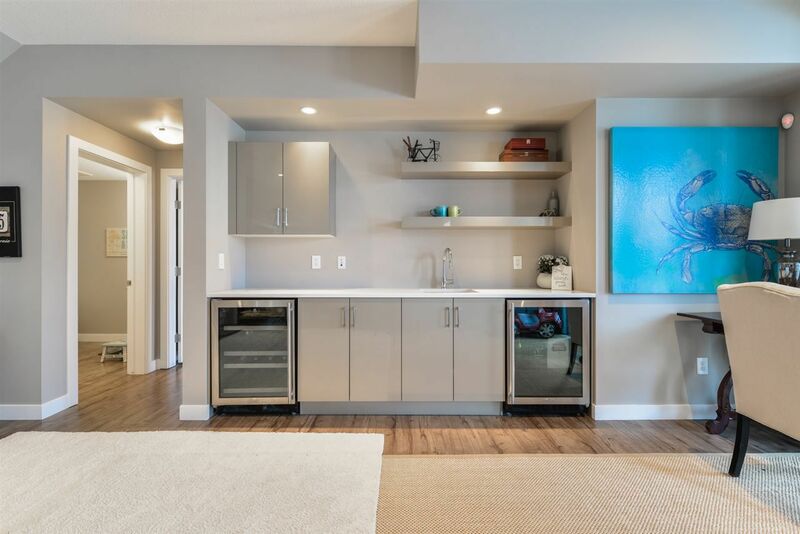 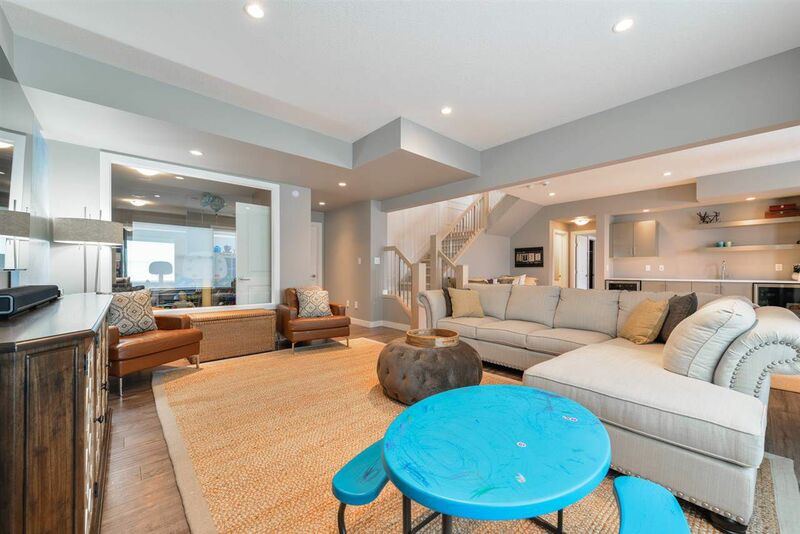 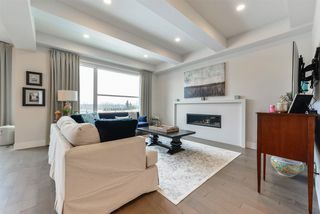 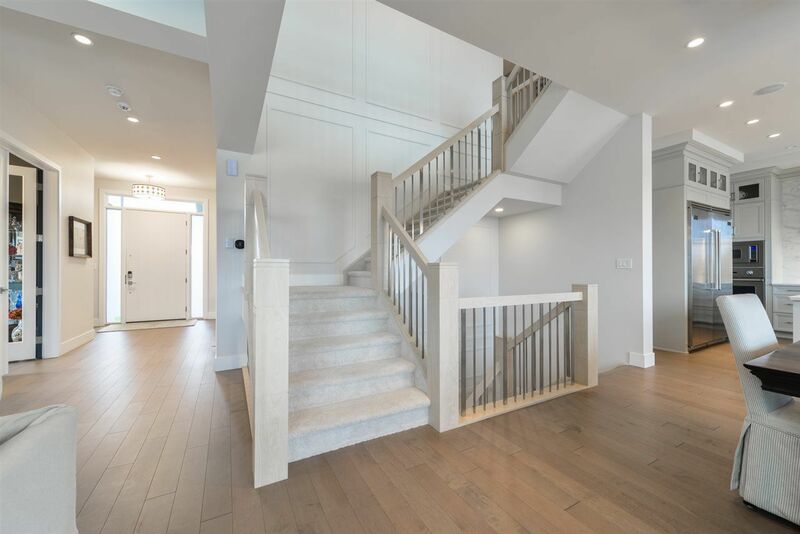 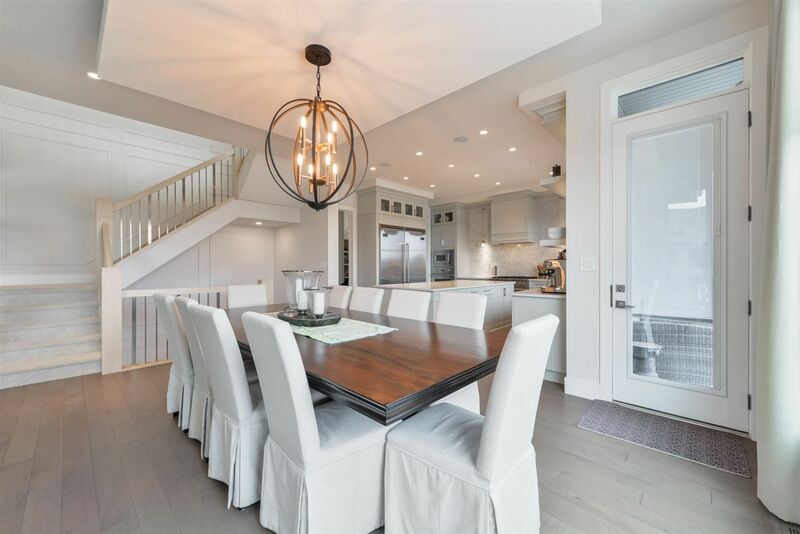 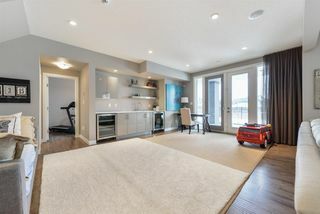 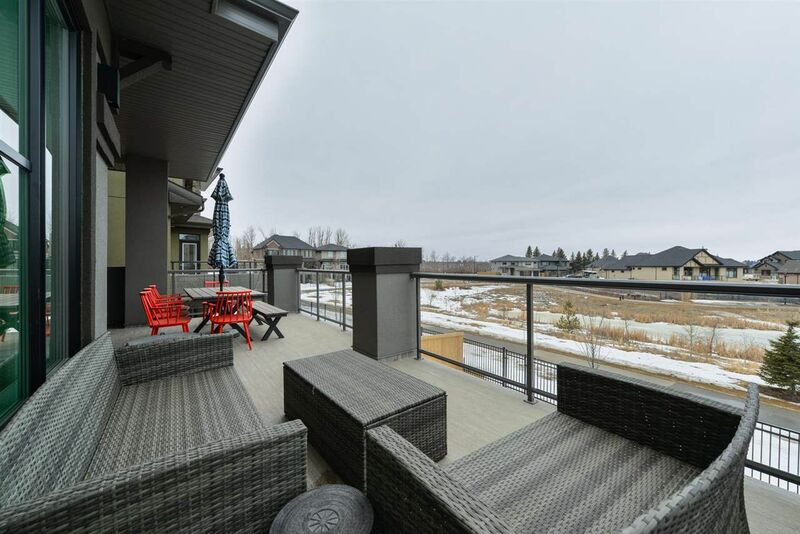 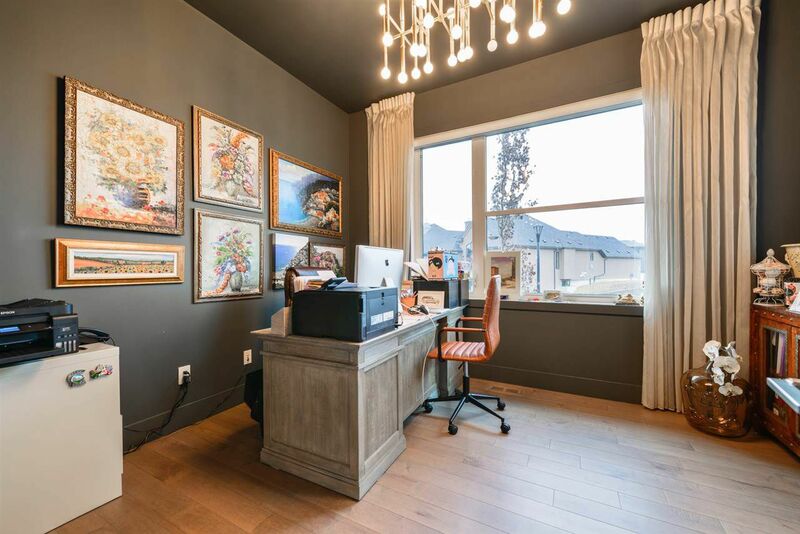 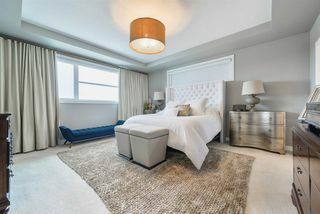 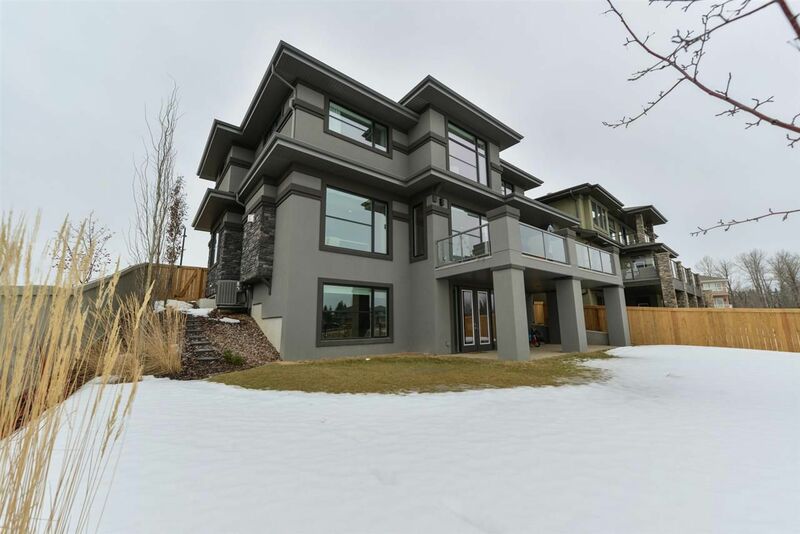 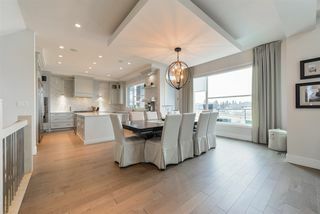 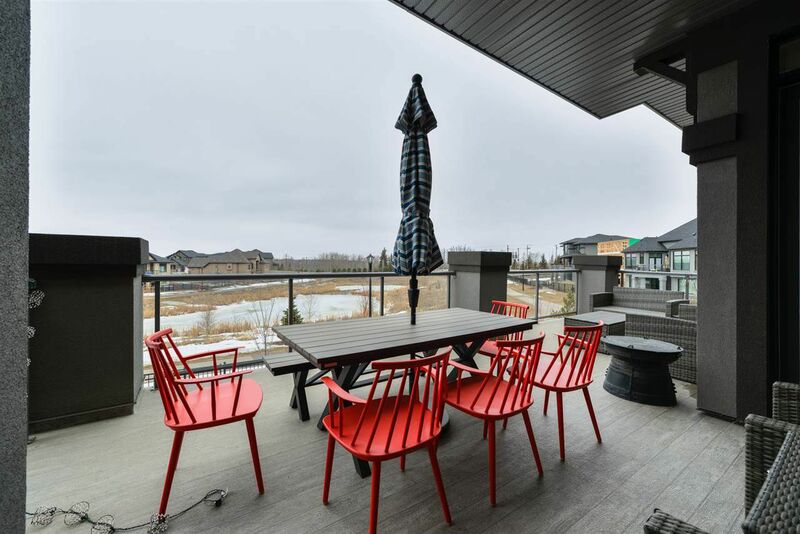 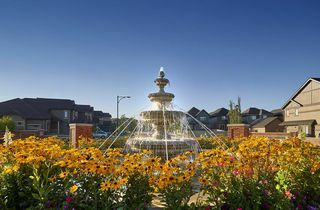 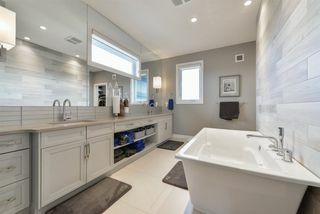 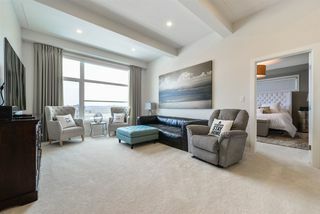 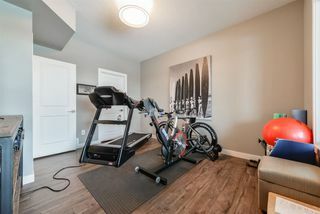 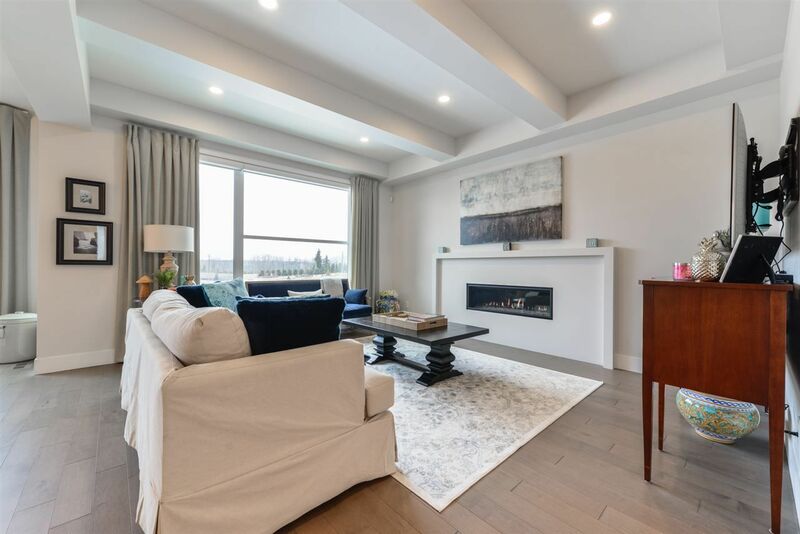 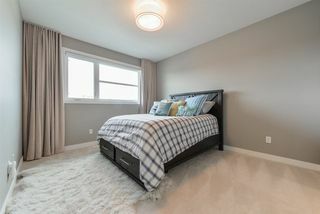 This former Ace Lang Built “Abigail” showhome is located in Southwest Edmonton’s premiere community of Keswick on the River. 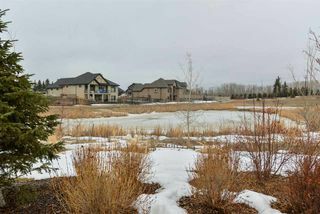 A large estate home with a walkout basement, it’s also ideally located backing into the pond with amazing nature views of the River Valley. Only steps from golfing, skiing, & trails. The entire back wall of this home is filled with windows to let in loads of light and sunshine. 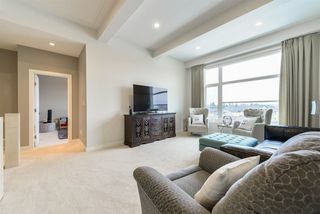 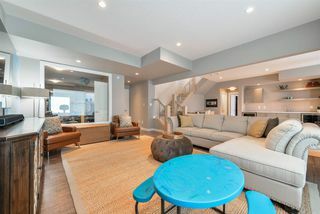 Inside it has 5 bedrooms and 5 bathrooms, plus an upstairs bonus room, gym or yoga studio, and gorgeous main floor study. 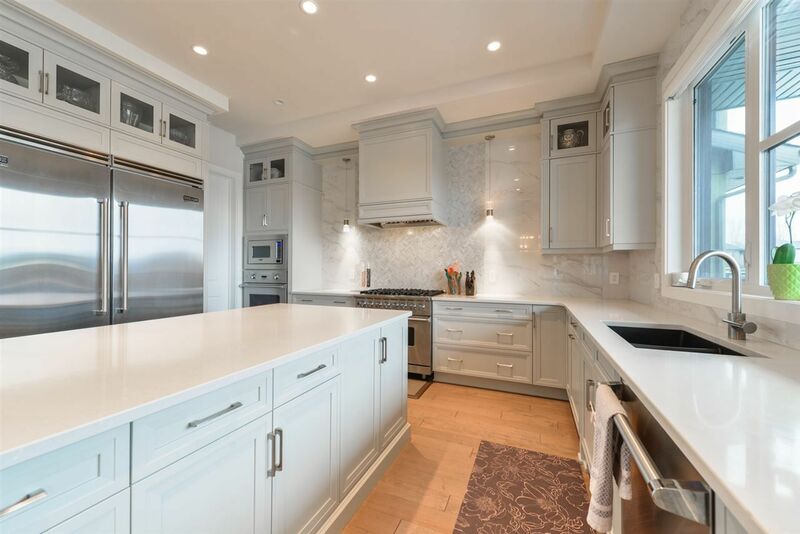 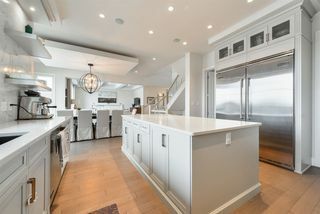 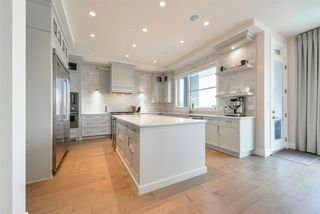 Absolute dream kitchen with the highest level of finishing and appliances. 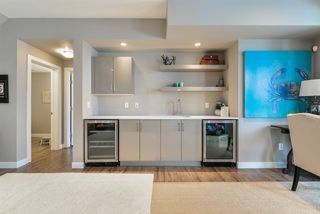 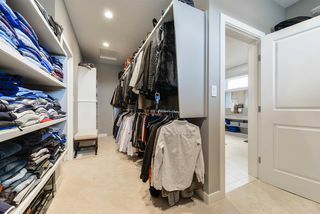 Huge pantry and mudroom lead to a heated garage with enough room for 3 vehicles plus storage area. 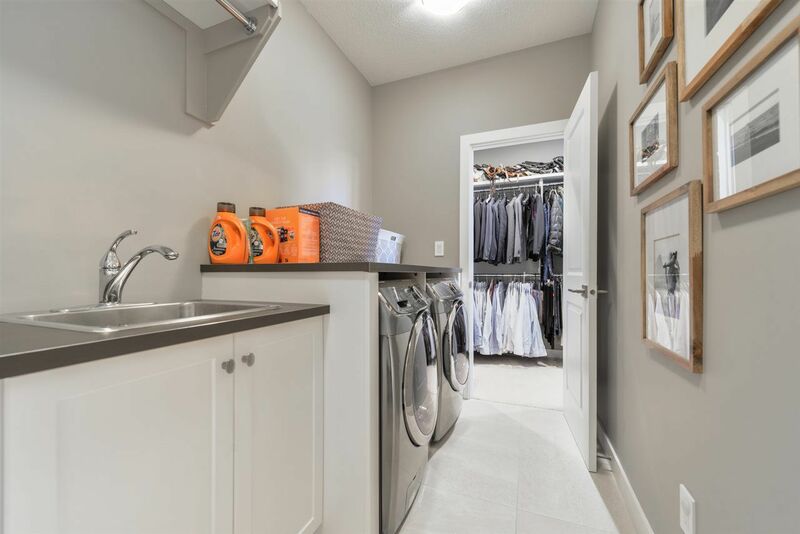 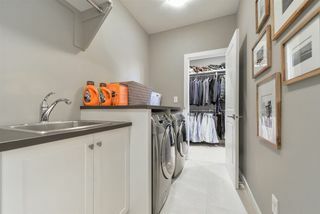 The master bedroom has a spa like en-suite bath and massive walk in closet leading to upstairs laundry. 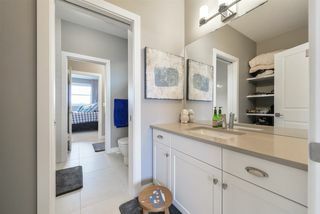 Three additional bedrooms all with direct access to bathrooms, one with its own ensuite and two sharing a large jack and Jill. 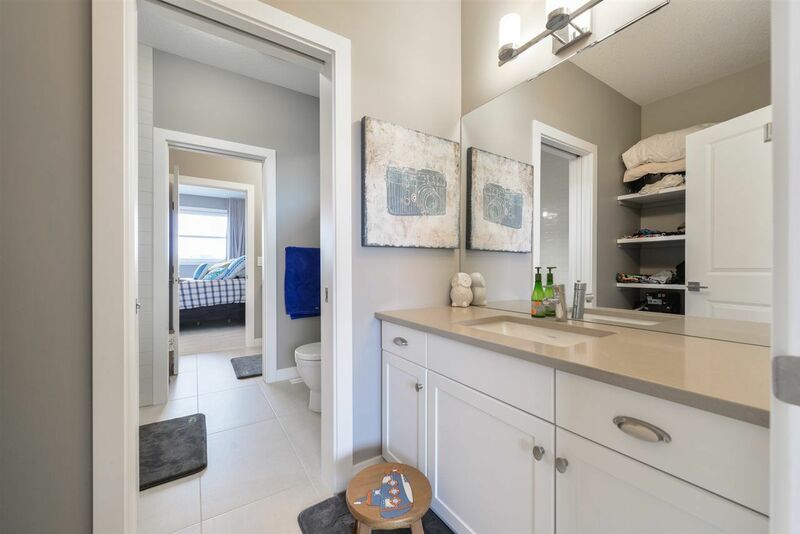 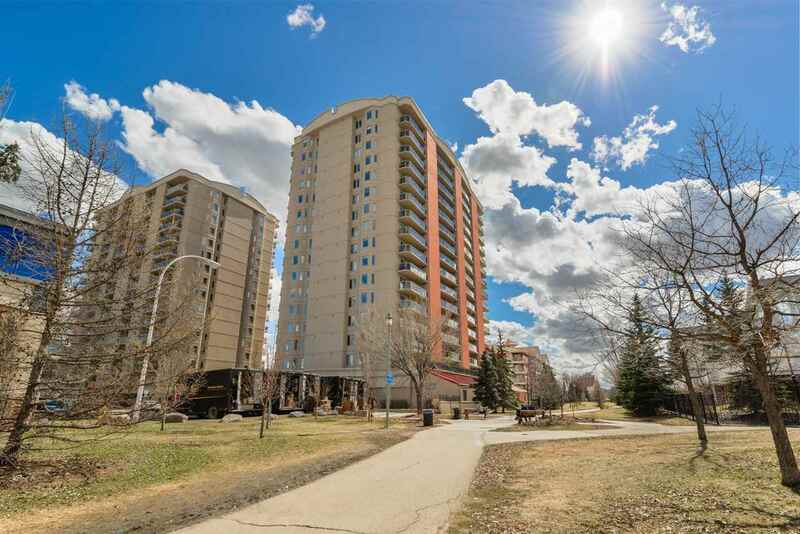 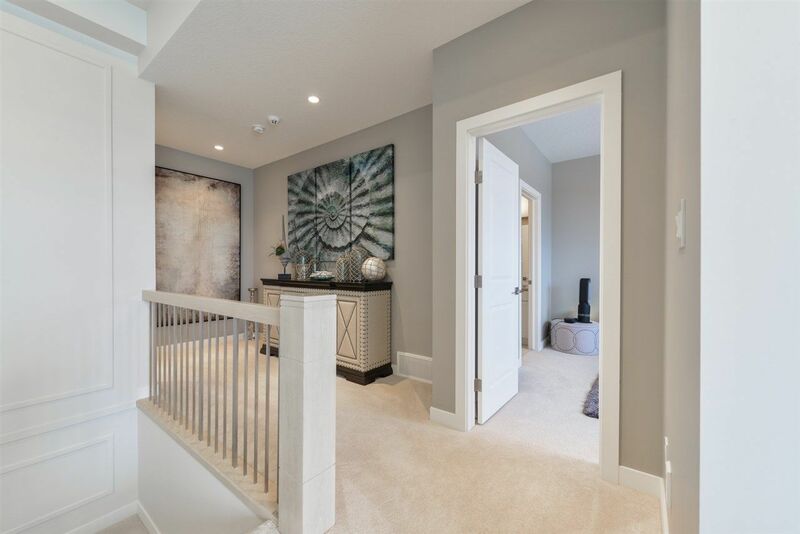 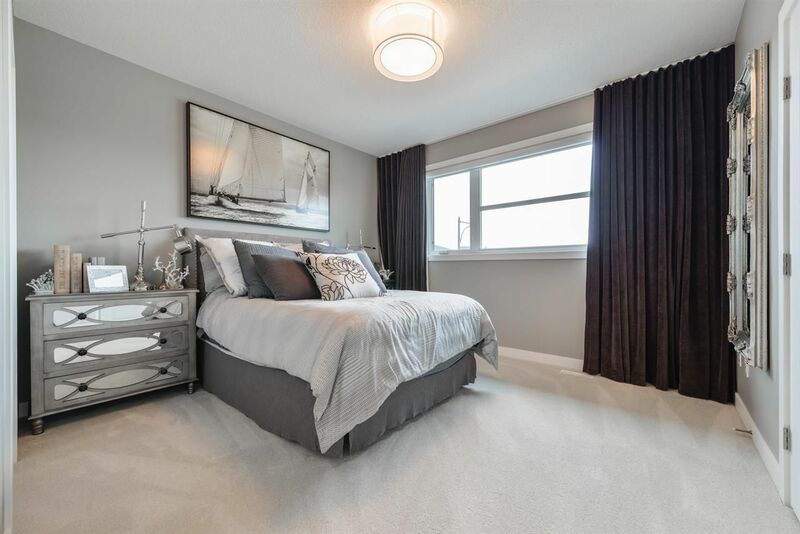 This former showhome is fully loaded and priced to sell at over $100k below market value.